The Antrim Playhouse in Wesley Hills enriches those who take an active part in it, as well as those in the community who benefit from its live-theater productions. On either side of the footlights, the people involved represent a diversity of age, culture, life experience and a strong appreciation of the importance of the Arts. For many years, the productions in the barn-like structure have been the settings for murders, marriages, mayhem, laughter and gallons of tears. 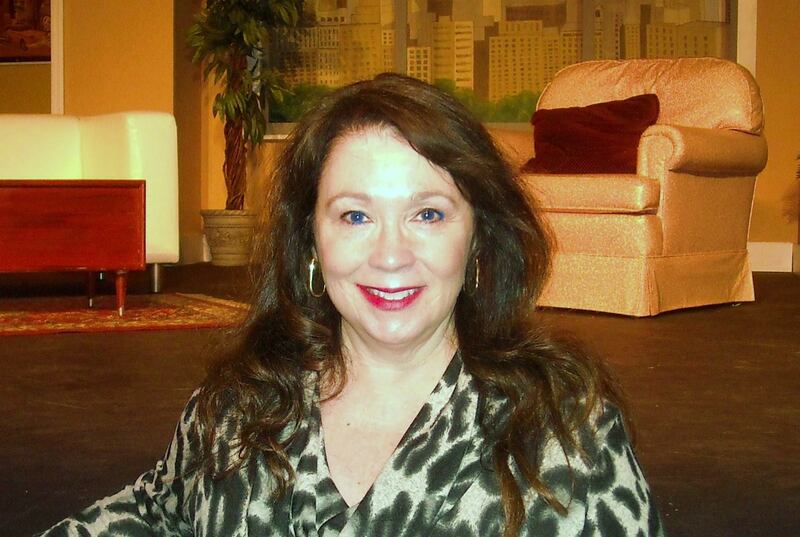 Doreen DiBenedetto is the point person for this ‘gem in the woods’ theater. “A true theater-lover and a member of Antrim for over 20 years, Doreen has not only acted on stage and is on the Board of Directors, but has performed in every aspect from set building, painting, stage managing to box office and running lights. Although Doreen excels as the treasurer, she basically works alongside the president on a daily basis. With our ever-changing times, Doreen is the glue that holds the Antrim together. She always has an answer, is always upbeat, always fixes the problem and we love her. No one does more for this theater,” fellow board member Kim Farewell said. Board members Neil Battinelli and Rhea Vogel said that Doreen loves this theater and it really shows when she is either backstage or on stage. Show after show, she puts her heart and soul into everything she touches. This theater would not be where it is today if it weren’t for her. Doreen’s dedication and commitment to Antrim is amazing. Ever-positive and always energetic, she brings an infusion of joy-always! DiBenedetto started community volunteering at The Sacred Heart Church in Suffern, both as a choir member and then as a board member for the Sacred Heart Players, as well as a New Jersey theater group. She then became involved with Antrim in the late 90s. “It takes a village to put on a show, from selecting which shows to do each season, getting together a production team for each show, casting, rehearsals, set design, construction, props, programs costumes, ushers, box office…the list goes on and on,” she said. One benefit of volunteering for DiBenedetto has been friendships. “I did not grow up in Rockland County, therefore, I did not know many people. As a result of my volunteering, I have made many long-lasting friendships,” she said. “Antrim Playhouse is a beautiful theater. Not many communities can say they have a real theater to put on high-quality, professional productions. We are so fortunate to have this space. I invite everyone to volunteer at Antrim to discover their hidden talents, such as painting, carpentry, music, sound, lights, costumes, makeup, acting, dancing, playbill design and box office,” concluded DiBenedetto. For additional information about volunteering at The Antrim Playhouse, call 845-354-9503 or go to info@antrimplayhouse.com.